The very first European state, that abolished death penalty was the Grand Duchy of Tuscany, present-day Italy, under the reign of Pietro Leopoldo, later Holy Roman Emperor Leopold II. He issued the decree on November 30, 1786, so Tuscany became the first civil state, that stayed away from torture and capital punishment. As of 2012, death penalty is abolished in 141 counties, and only 51 states practise it. 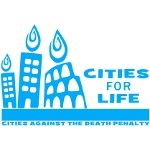 Celebration of Cities for Life Day helps promote abolishment of death penalty in the reminding countries. The largest cities illuminate their symbolic monuments, like Atomium in Brussels, the Colosseum n Rome and the Plaza de Santa Ana in Madrid. This event is supported by the main international human rights organizations, that are gathered together in the World Coalition Against the Death Penalty.